• the right to pursue an economic activity free of disproportionate market regulation. The book contains a detailed and extensive analysis of the relevant case law. 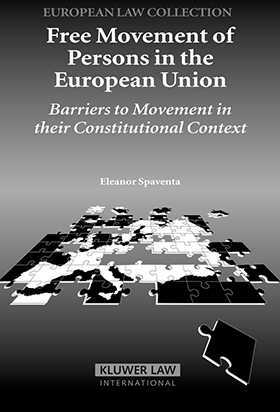 As a deeply-informed assessment of the conceptual underpinnings and normative potentialities of these fundamental Community rights, Free Movement of Persons in the European Union will be of inestimable value to academics, as well as to postgraduate students and others concerned with the ongoing process of European integration.